If oatmeal conjures memories of mushy slop loaded with sugar and tiny dried apple pieces, it’s time you created new associations with this healthy grain. Oatmeal is fabulous, and a recipe like this one should leave the whole family satiated and smiling. Steel cut (Irish) oats are simply chopped oat groats – they are the least processed of all oat products, and they are typically stocked right alongside the old-fashioned and quick oats these days. If not, check the organic section of your grocery store. Seriously, once you try them, you’ll never want to go back to quick/instant oats. I like to cook half of the apple pieces with the raisins 5 minutes before the oatmeal has finished cooking and add the rest with the sunflower seeds in my bowl for a little crunch. Just 2 tablespoons of pure maple syrup is plenty to sweeten the whole batch (in fact, I like it even without) because apples, raisins and cinnamon lend their natural sweetness to the oats. Enjoy the chilly mornings! Place water, oats and salt in a medium saucepan and bring to a boil. Reduce heat to a strong simmer and cook 20 minutes, stirring occasionally. Add raisins, ½ of your chopped apples and cinnamon; cook additional 5 minutes, stirring frequently. Remove from heat, stir in flax seeds, vanilla extract and maple syrup. 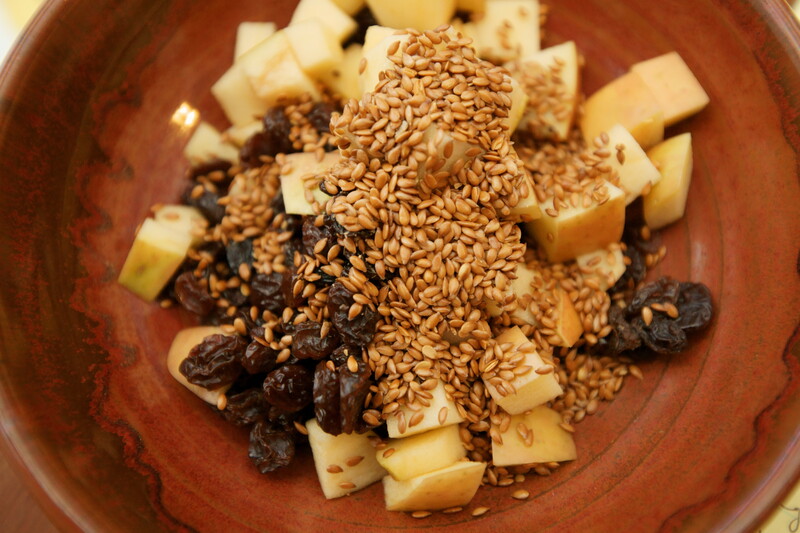 Place in bowls and top with remaining apples, a generous sprinkle of sunflower seeds, and a dash of cinnamon. Serve with milk or milk substitute if desired. 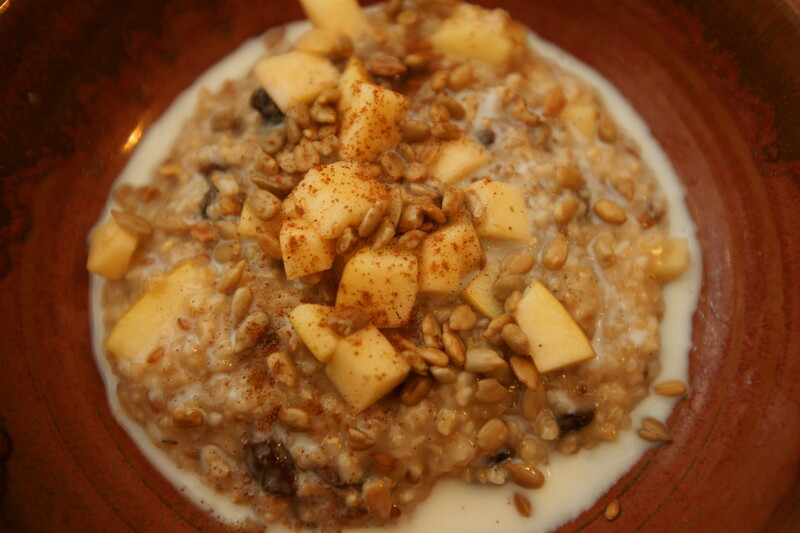 What are some of your favorite oatmeal add-ins?